What is the cheapest way to get from Costa Mesa to Laguna Beach? The cheapest way to get from Costa Mesa to Laguna Beach is to drive which costs $1 - $2 and takes 17m. What is the fastest way to get from Costa Mesa to Laguna Beach? The quickest way to get from Costa Mesa to Laguna Beach is to taxi which costs $35 - $50 and takes 17m. Is there a direct bus between Costa Mesa and Laguna Beach? No, there is no direct bus from Costa Mesa to Laguna Beach. However, there are services departing from 17Th-Santa Ana and arriving at Coast-Ocean via Newport Trans Ctr Dock 6. The journey, including transfers, takes approximately 1h 14m. How far is it from Costa Mesa to Laguna Beach? The distance between Costa Mesa and Laguna Beach is 10 miles. The road distance is 11.5 miles. How do I travel from Costa Mesa to Laguna Beach without a car? The best way to get from Costa Mesa to Laguna Beach without a car is to line 55 bus and line 1 bus which takes 1h 14m and costs $4 - $14. How long does it take to get from Costa Mesa to Laguna Beach? It takes approximately 1h 14m to get from Costa Mesa to Laguna Beach, including transfers. Where do I catch the Costa Mesa to Laguna Beach bus from? 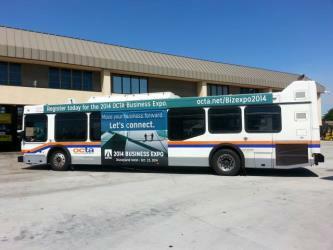 Costa Mesa to Laguna Beach bus services, operated by OCTA, depart from 17Th-Santa Ana station. 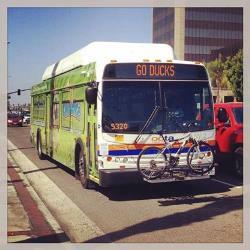 Where does the Costa Mesa to Laguna Beach bus arrive? 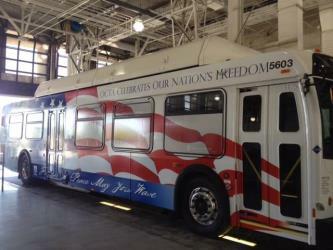 Costa Mesa to Laguna Beach bus services, operated by OCTA, arrive at Coast-Ocean station. Can I drive from Costa Mesa to Laguna Beach? Yes, the driving distance between Costa Mesa to Laguna Beach is 12 miles. It takes approximately 17m to drive from Costa Mesa to Laguna Beach. Where can I stay near Laguna Beach? There are 692+ hotels available in Laguna Beach. Prices start at $111 USD per night. What companies run services between Costa Mesa, CA, USA and Laguna Beach, CA, USA? You can take a bus from Costa Mesa to Laguna Beach via Newport Trans Ctr Dock 6 in around 1h 14m. Rome2rio's Travel Guide series provide vital information for the global traveller. Read our range of informative guides on popular transport routes and companies - including French strikes 2018: What are my alternative transport options?, 4 stunningly beautiful Philippines islands you need to visit and 5 incredible day trips from Florence by train - to help you get the most out of your next trip. Mission San Juan Capistrano was a Spanish mission in colonial Las Californias. Its ruins are located in present-day San Juan Capistrano, Orange County, southern California. Crystal Cove State Park is a state park of California, United States, encompassing 3.2 mi of Pacific coastline, inland chaparral canyons, and the Crystal Cove Historic District of beach houses. The park is located in Newport Beach. Crystal Cove is a stretch of coastal cliffs and a beachfront cove situated between the Pacific Coast Highway and the Pacific Ocean just north of Laguna Beach. The 3936 acre park was established in 1979. The entire park hosts a total of 3 miles of beaches and tide pools, a 1,400 acre marine Conservation Area as well as underwater park, 400 acres of bluffs, and 2,400 acres of canyons. The Sherman Library and Gardens (2.2 acres) are botanical gardens located at 2647 East Coast Highway, Corona del Mar, California. They are open to the public every day but major holidays; an admission fee is charged most days. Rome2rio makes travelling from Costa Mesa to Laguna Beach easy. Rome2rio is a door-to-door travel information and booking engine, helping you get to and from any location in the world. Find all the transport options for your trip from Costa Mesa to Laguna Beach right here. Rome2rio displays up to date schedules, route maps, journey times and estimated fares from relevant transport operators, ensuring you can make an informed decision about which option will suit you best. Rome2rio also offers online bookings for selected operators, making reservations easy and straightforward.